Team tennis is a huge piece of the success of a tennis program offering a competitive platform for completion and camaraderie. At Gleneagles Country Club in Delray Beach, Fla., there are 25 teams in nine leagues, including Pickleball. While the selection of the roster for the team is best left to the professional staff, the Team Captain is greatly involved with the doubles pairings with input from team members. Like any successful team, the chemistry of the partnership will determine team success and enjoyment of the game. Too often, partnerships are guided by personal agendas with weaker players choosing stronger players without regard to the best lineup for the entire team. Captains are also scrutinized rightfully or not for securing the best partner for themselves first and the welfare of the team second. So what is the best course of action to choose a partner while insuring team success? Team Captains should be appointed by the Tennis Professional or by the vote of the team. If you have not volunteered to be a Captain or lost a team vote, respect the Captain’s lineup decision. While team members should have input as to who is their partner, the Captain’s decision is final and should be embraced. When choosing a partner, think about your own appeal as a partner to your teammates. ►Select a partner who you consider would want to be your partner. ►Select a partner you like who will discuss strategy and have a great attitude regardless of the score. ►Approach the Captain as a couple to request playing together. Do not announce your partner would like to play with you without their presence. ►Consider a partner who is within two or three position of your ability on the team depth chart. Choosing a partner that is obviously above your own skill set is selfish. ►Consider deuce and ad court skillsets, but do not label yourself as only being able to play one court. You may have to change courts if the match does not go well. ►Do not wear your emotions on your sleeve, win or lose. ►Limit your discussion of the match to 10 minutes. ►Critique the match from your play. Evaluating your partner is off limits. ►Do not blame your Tennis Pro, Captain or partner for a loss. ►Do not look for a new partner after a loss. Set a reasonable expectation of success before considering a change. 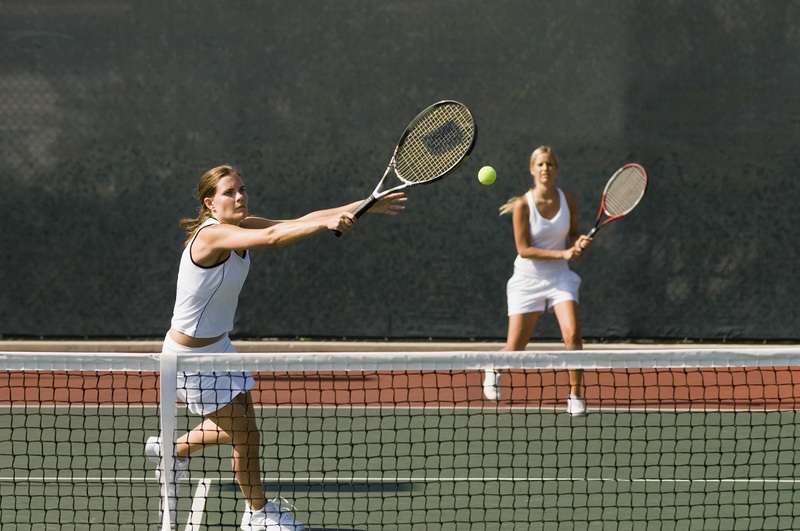 One of the great benefits of team tennis as in all sports in general is to instill confidence in individuals while spending your valuable time participating in a sport you love. Consider this benefit and forge a proper path to achieve this goal by choosing a partner you will enjoy and respect while building team character.